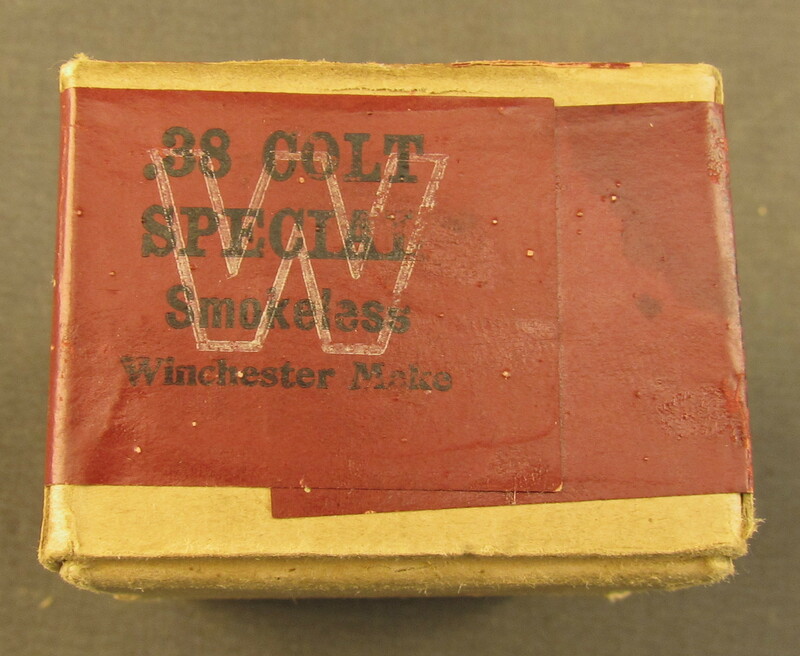 Description: This 2 piece full top box shows 4-23 dated red top label with cartridge cut showing odd "38 Colt SPL" headstamp. 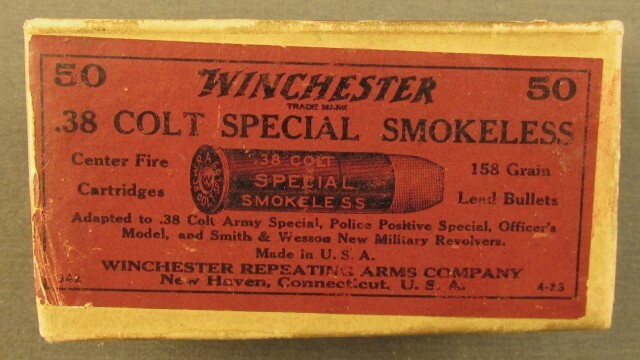 The 6-22 dated side label has an endorsement from Colt above the Winchester guarantee. 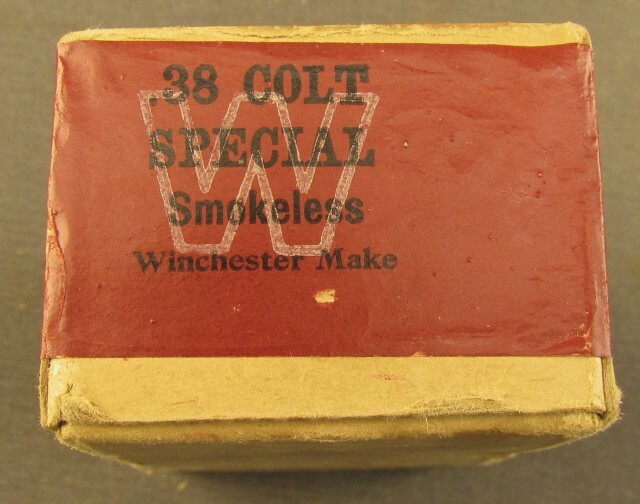 38 Colt Special is a 38 S&W Special loaded with a flat point bullet and was only available for a short time. 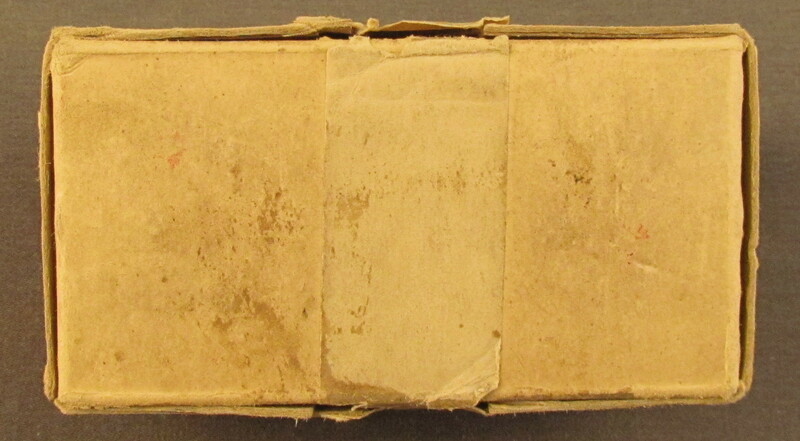 This box is in excellent condition with very light soiling and a couple small scuffs on labels. 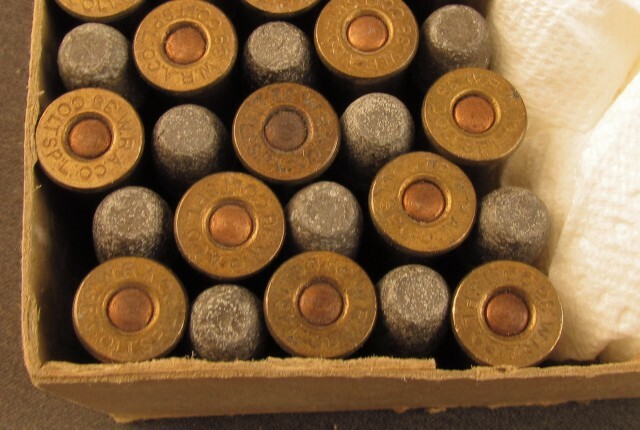 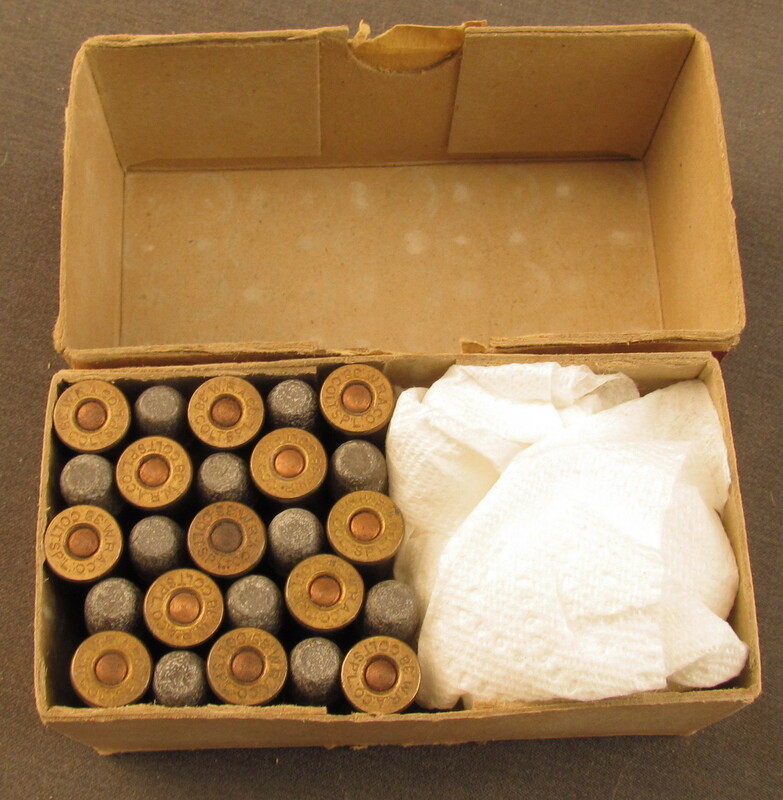 The box holds 25 correct rounds in excellent condition. This is an odd box with many desirable features.